An early storyboard of the opening crawl by artist Alex Tavoularis. To celebrate the release of The Force Awakens (a little sci-fi film you may have heard of), I'll be taking a critical look at the official wordmarks from each Star Wars film, and how they have been implemented across a selection of posters and promotional materials. This is by no means a comprehensive list of all iterations of the Star Wars logo that have shown up throughout the years. That would probably fill a pretty hefty book. Actually, I'm surprised someone hasn't done that already... get Lucasfilm on the phone! This logo treatment was originally designed to be used in the opening crawl, hence the vanishing point. For whatever reason, it didn’t end up getting used for that, but was deployed in theatrical posters and advertisements. Limited to use on the first film, this very '70s logo has been known to still crop up on a retro t-shirt from time to time. A mockup of what the opening crawl could have looked like with the vanishing point logo leading the way. 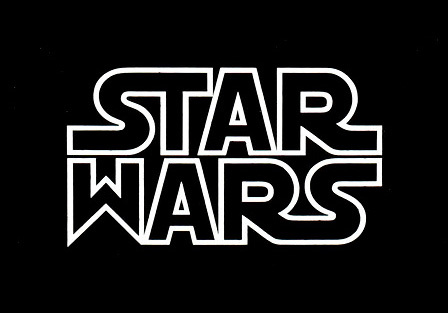 In today's blockbuster landscape of franchise movies being plotted out years in advance, how strange it is to actually see this classic logo evolve in the frantic months leading up to the release of the first Star Wars. 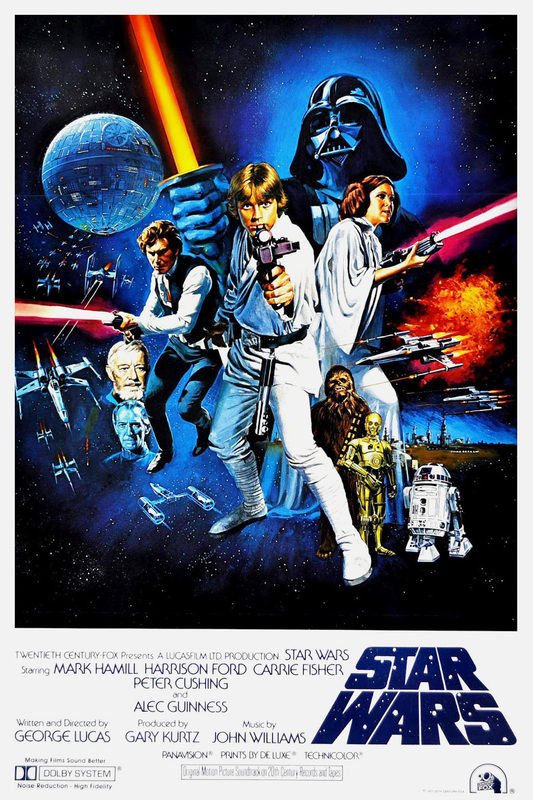 Originally designed for the cover of a brochure that 20th Century Fox sent to theater owners, the logo made it's way onto teaser posters before bursting into cinematic history as part of the famous opening crawl. In the first few years after the original movie, this basic logo appeared in countless variations—in everything from advertisements to comics and merchandise—before settling down and remaining relatively unchanged in the nearly four decades since. You see the curve of the S and R, or the ST and RS ligatures, and you instantly think Star Wars. Based on Helvetica Black, the other letters have also been beefed up and slightly widened. We tend to take this logo for granted since it is so ubiquitous, but upon closer examination the kerning is inconsistent, and some of the letterforms could use a modern touch. Plus, it bugs me that the extension to the "S" on the left is longer than the extensions to the "R" and "S" on the right. Coincidentally enough, the best Star Wars movie also has the best type treatment. The same modified Helvetica Black from the classic logo is utilized here, with the distinct curvy tale of the "R" naturally being applied to the "K." The kerning is snug and consistent across the board. The logo is set on a pulpy slant and the rounded border contains it all, helping to unify the more modified letterforms with their Helvetica counterparts. 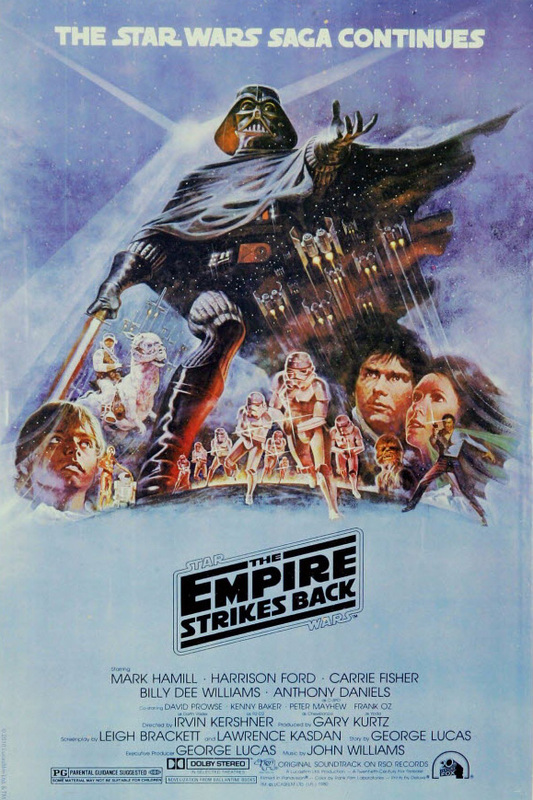 In select re-release posters the words were stacked differently, the border got ditched, and a vanishing point was implemented to match the original Star Wars treatment. Around the same time that George Lucas was ditching Wookiees for Ewoks in the climactic battle of Return of the Jedi, the iconic modified Helvetica got discarded in favor of the defaultiest of all fonts, Times New Roman. Serifs are uncomfortably bumping into each other all over the place, and the only semi interesting thing about the typography is the descender of the "J" dropping below the underline. An alternate box treatment stripped away even that modest embellishment. All three logos received a facelift in 1995 with the release of a remastered Trilogy VHS box set, and carried through the infamous Special Edition releases of 1997. The Star Wars letterforms were slightly widened, and the apex of the “W” sharpened to a point. Empire lost its border, underline, and slant. Jedi was given the most radical update to match the style of the other two logos. Kudos for attempting to streamline the three logos, however everything feels stretched a little too wide for my taste. Fun fact: This was the last time the original movie got to just be called Star Wars on promotional materials without Episode IV and/or A New Hope affixed. The Phantom Menace established a rigid style that would carry through the prequel trilogy. Set in Trajan (aka “the movie font”), the episode number was given top billing, leading most people to refer to the prequels by their episode numbers back in the day. The secondary subtitle utilized a loosely spaced Albertus. 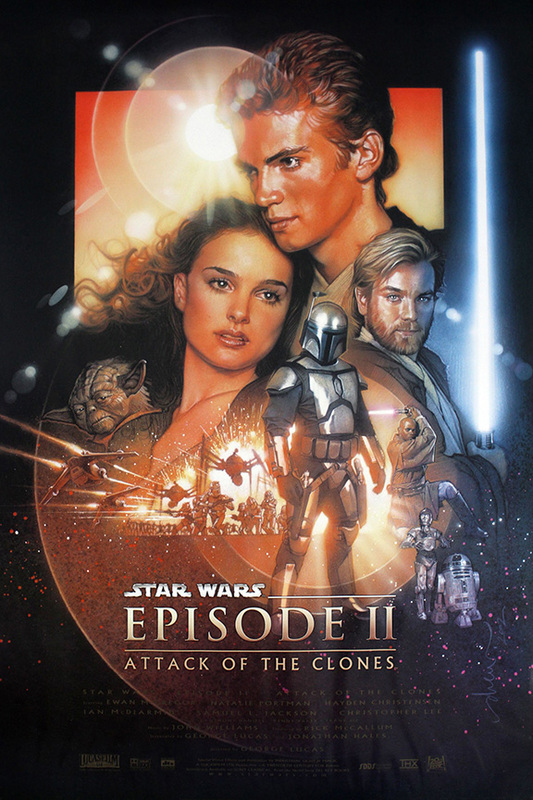 One exception to this was an alternate logo for Revenge of the Sith. Given that film's nostalgia-driven marketing campaign, a retro treatment was created that matched the box logo from Return of the Jedi. I hope you found my observations interesting, or at the very least enjoyed looking through all the cool posters. Eventually I will get around to looking at the current Disney era and how its typography fits in with the rest of the saga. 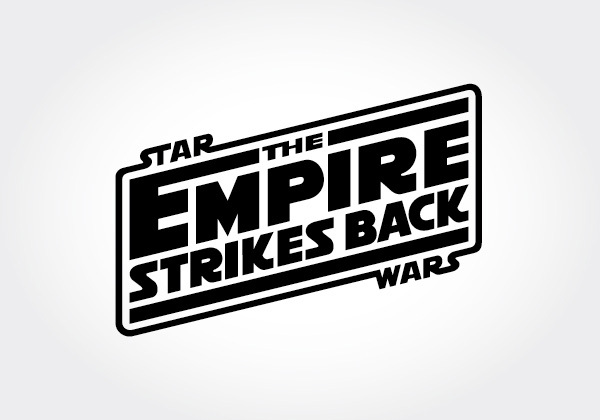 Click for a free download of all Star Wars logos in vector format.